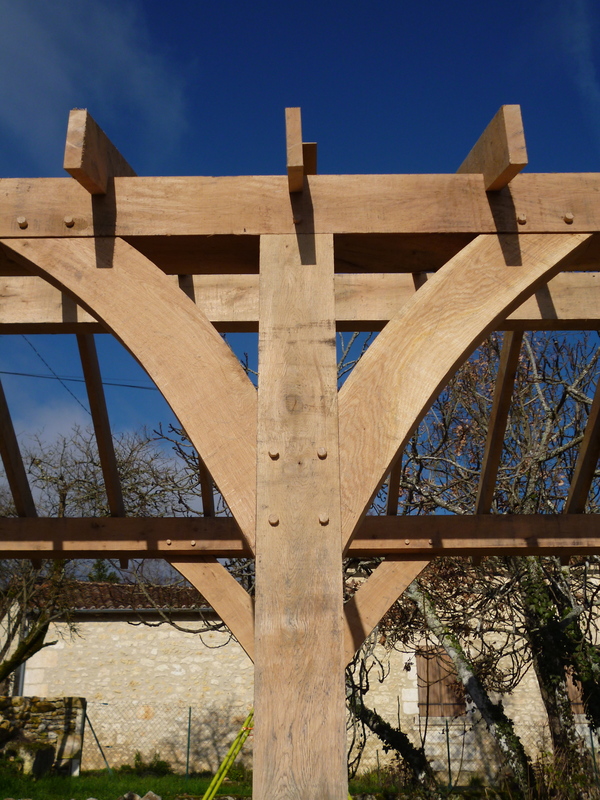 Since setting up Charpentes Louis Maw in September 2011 we have completed five timber frames in Dordogne, France. The structures have ranged from our first project – a double car port – to a traditional oak frame for a barn conversion, a stylish pergola for an outdoor jacuzzi, a shelter for our local school playground in Cercles and a detached pool-side veranda. Please follow the links below for more details of these projects. As we build more frames in Dordogne and France, we will add them here.